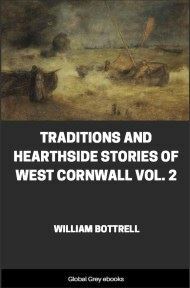 This is the second of three volumes of William Bottrells' collection of Cornish folklore, legend and local tales. 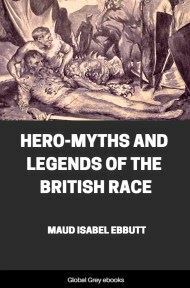 This volume includes several episodic stories, particularly the generational saga of the I'ans. While many of the folk-tales have thematic correlations in other story-telling traditions, all of these stories are localized by Bottrell in the Cornish landscape, including tales of giants, ancient castles, and strange standing stones. ASSOCIATED with Trove and the ancient family who lived, for many generations, in that pleasant place, there is a tradition that one old Squire Lovell wedded a poor girl solely because he believed her to be the best spinster and knitster in Buryan, but that all the fine stockings and other knitted garments with which she provided her husband were made by a devil. This droll formed the subject of an old Guise-dance (Christmas Play) which is all but forgotten: yet, in our youth, we have heard a few scenes rehearsed, which may be interesting as an example of a primitive drama of West Penwith, that may have succeeded, or been contemporary with, the miracle plays which, about three centuries ago, were acted in the Plan-an-gwarre, St. Just, and at the Church-town cross in most other western parishes. This uncouth piece shows something of the rude and simple humour of old times, when people were quite innocent, though less fastidious, than in our days. Great part of the dialogue appears to have been improvised, as the actor's fancy dictated. Yet there were some portions in rude verse, which would seem to have been handed down with little variation. Mimical gesticulation expressed much of the story; and when there was unwonted delay in change of scene, or any hitch in acting, in came the hobby-horse and its licenced rider, to keep the mirth from flagging. This saucy jester being privileged to say whatever he pleased, kept the audience in good humour by filling up such intervals with burlesque speeches on any. matters which had taken place during the past year, that furnished fit subjects for ridicule. A hall, farmhouse-kitchen, barn, or other out-house, served for a theatre, and a winnowing-sheet, suspended from key-beams or rafters, made a drop-curtain. Father Christmas, as chorus, described the scene, and told the company what characters the actors represented, unless they introduced themselves, as was frequently the case, like St. George, saying, "Here comes I, a champion bold," &c. He also narrated such parts as could not be acted conveniently. Our simple actors got up their dresses in as old-fashioned and smart a style as they were able to contrive them, by begging or borrowing cast-off finery from the gentry round. Male players were often seen rigged in long-waisted, gay-coloured coats, having their skirts spread out with straw, instead of buckram or bombast, and resplendent with brass or tin buttons, large as crown pieces, and long ruffles at their breasts and wrists; their breeches were of blue, red, or buff, slashed, puffed, and tricked out with ribbons, tassels, and knee-buckles. Their hose was of any bright hue, to make a strong contrast to the small clothes. High-heeled shoes were adorned with shining buckles or bows of ribbons. Yet their greatest pride was displayed in steeple-crowned or cocked hats, surmounted with plumes and decked with streamers of gay ribbons. Our rural actresses also wore steeple-crowns fixed high above their heads on pads; stiffen-bodied, long-waisted gowns, with bag skirts or long trains; ruffles hanging from their elbows, wide stiff ruffs round their necks; and any other remnants of old finery that they could contrive to get. It is somewhat curious that in this old guise-dance, or story about Madame Lovell and the devil, several ladies belonging to noted families who lived in Buryan, two or three centuries ago, are represented as bringing their corn to Trove Mill to be ground and as serging (bolting) their flour themselves. The names of Mesdames Cardew, Pender, Noy, Trezilian, &c., are taken by these ladies, whose gossip forms a kind of by-play. 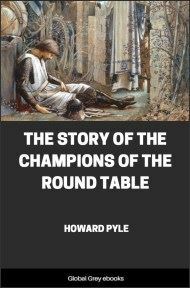 We now purpose to reproduce a few well-remembered scenes, as we have heard them related many years ago, by old folks of Buryan, and to simply tell the story as expressed by others. 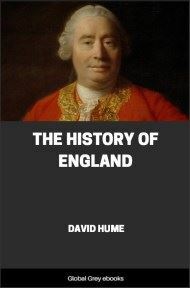 Yet, with a feeling somewhat akin to regret, we have curtailed some portions, in order to exclude whatever might, now, be regarded as indelicate: there is sufficient, however, preserved to carry on the story as far as it is likely to interest or amuse any but antiquarian students who might prefer, with all its blemishes, an unmutilated picture of such "merrie disports" as were usual at Christmas-tide with our simple-honest forefathers. Duffy, a poor girl, who became Madame Lovell. Betty, the witch of Trove Mill. Several ladies and gentlemen, and witches. Scene I.—Father Christmas, with long hoary hair and beard enters before the curtain, and says:—"Ladies and gentlemen, Please to take it that we are in Buryan Church-town, in the cider-making time. Squire Lovell is come up to get help to gather in his apples. 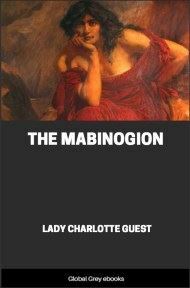 When the curtain rises you will see him at Jenny Chygwin's door." Curtain raised. Squire Lovell is seen on his horse (a hobby horse); an old woman and a young woman scolding within. Squire:—Hullo! in there! Jenny, what's all the caperrouse with you and the maid, I'd like to know?"